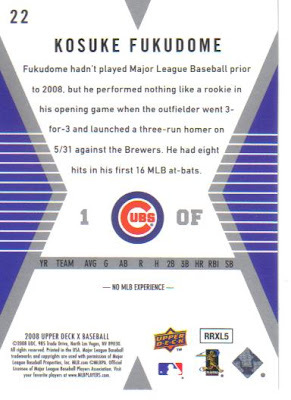 First card and I get my first Kosuke Fukudome Rookie Card. 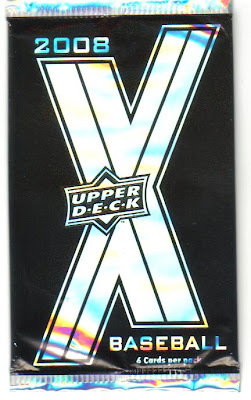 I like the look of this card a lot and the X design compliments the photo nicely. 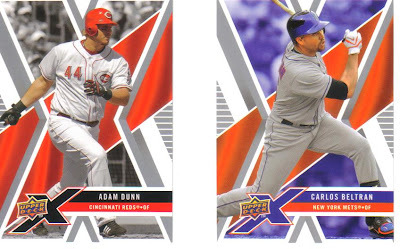 Here are two base cards: Adam Dunn and Carlos Beltran. 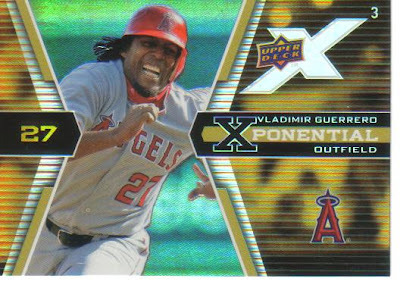 My Xponential insert is to the 3rd power so I am assuming it's a little more rare than those to the 2nd power. 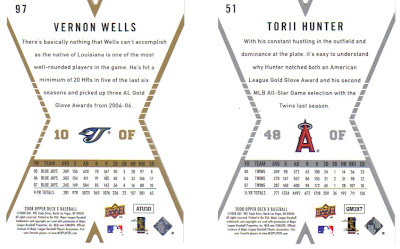 In this pack I pulled two cut cards, a Torii Hunter with the typical silver border and a Vernon Wells with a gold border. 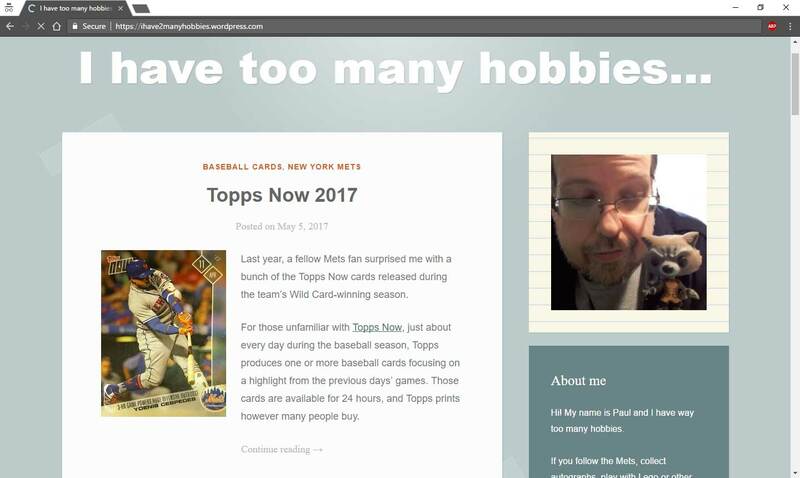 None of my cut cards have the missed cut problems that bothered Dayf so much. 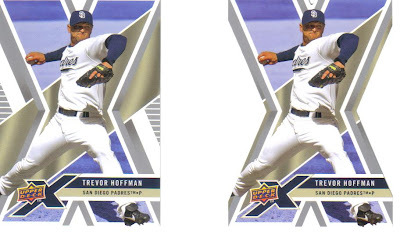 Here are my three regular base cards: an Ian Kennedy Rookie, Mr. No-Hitter Carlos Zambrano and Hideki Matsui. 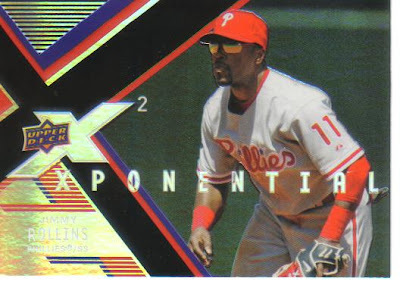 My Xponential card is a Jimmy Rollins to the 2nd power and it's not quite as nice good as the earlier Vlad insert which was to the 3rd power. Overall, I am on board with this set. 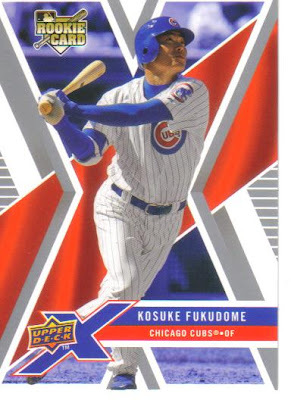 In my opinion it is much better than the Artifacts or Baseball Heroes sets that Upper Deck has put out this year and at $1.97 a pack it's hard to complain about value. 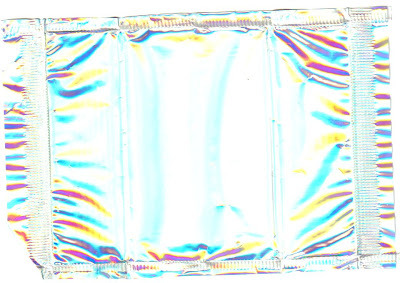 I didn't malign the wrapper, I said it was the wrapper of the century. That is a Hall of Fame wrapper. 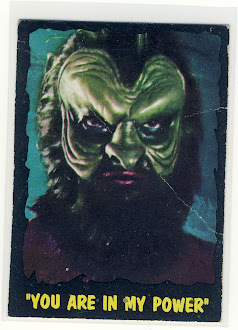 It was the base cards what I maligned and I stand behind that malignancy. 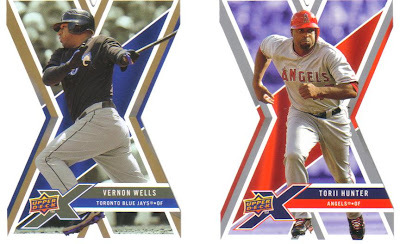 I love the Xponentials though, those are purdy lookin cards. And what's up with the gold border? Is that another parallel?? Oy. no more parallels... please. However, you have inspired me. 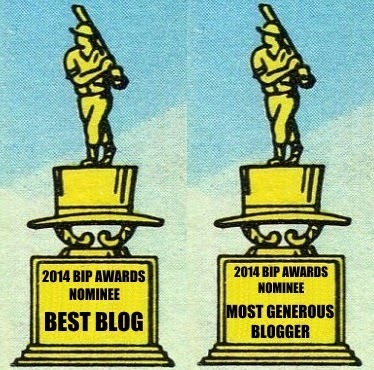 Check the blog later tonight.